The woman climbed over a barrier, detached around ten pieces from the mosaic floor of the Domus dell’Ancora, put three in her backpack and then ran away. Caretakers raised the alarm after witnessing the brazen episode, alerting police, who detained the woman before she managed to exit the site. 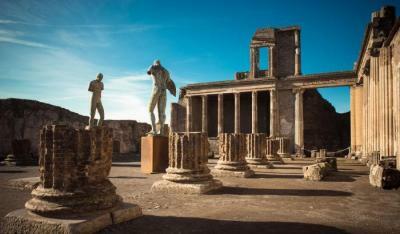 Pompeii Archaeological Park began the task of restoring the tiles on Monday.